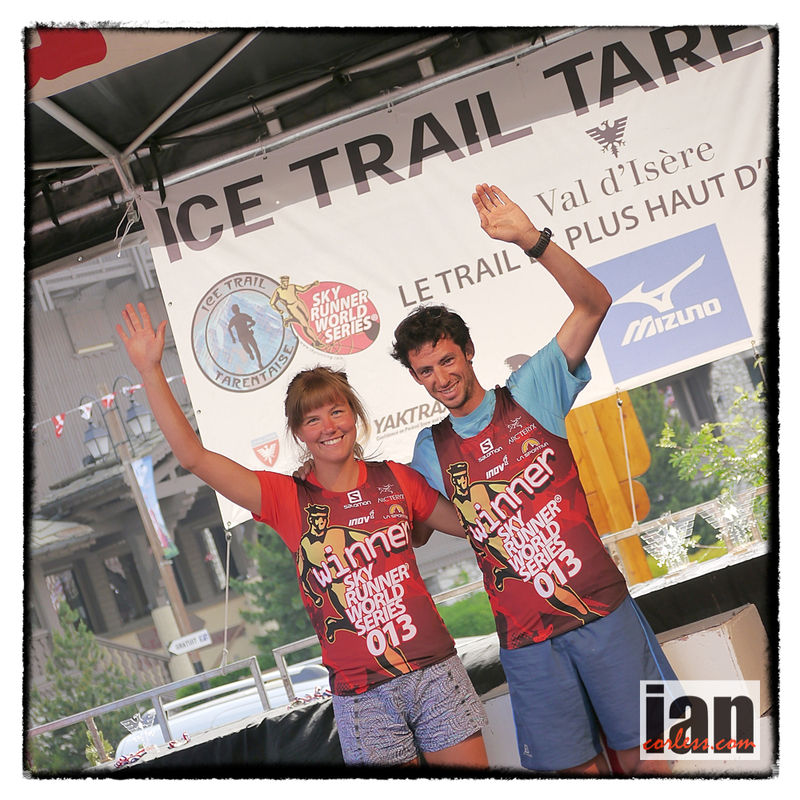 Kilian Jornet and Emelie Forsberg excel at the ISF Skyrunning Ice Trail Tarentaise. With over 60 km’s above 2000m altitude and with a highest point of 3653m at ‘Grande Motte’ this is a race not to be taken lightly. Memories of the Tour de France flood into my mind when I discuss this region, however, other than the highest paved mountain pass at the ‘Col de L’Iseran’ at 2770m, no bicycles will be seen. The Tarentaise valley and the Ice Trail Tarentaise in many respects personify what Kilian Jornet has been pursuing for years, the term ‘Alpinism’ is often perceived as climbing but it is so much more. 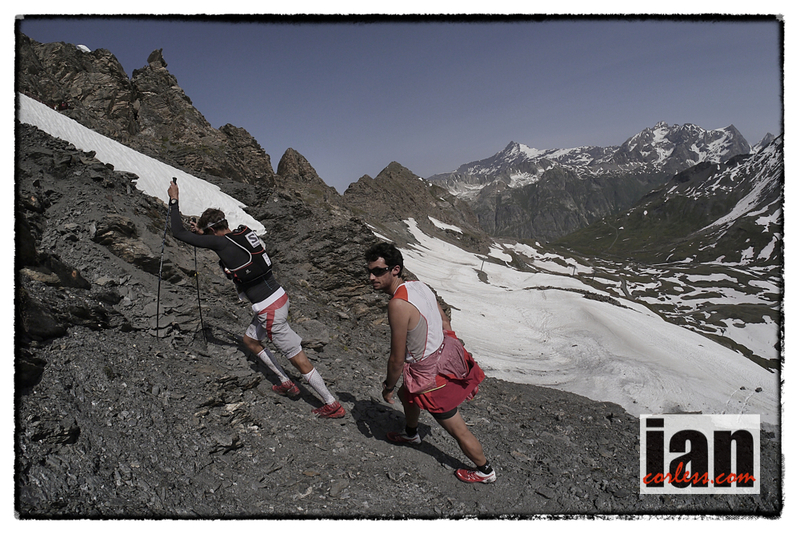 Traversing glaciers, ascending and descending summits such as ‘Aiguille Pers’ at 3386 m, participants in the 2013 Ice Trail Tarentaise will no doubt had a full appreciation of what Kilian and others like him strive for when they coin the term, Skyrunning. 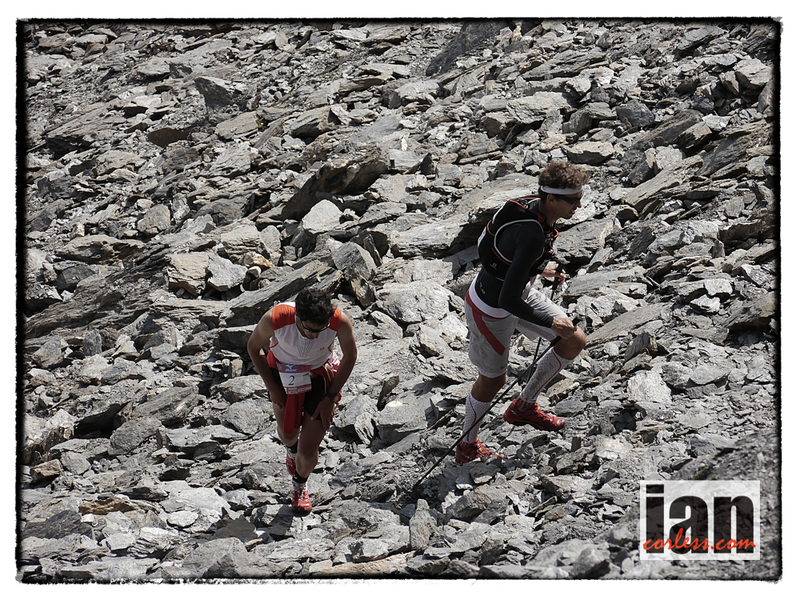 You see, Skyrunning is Alpinism but without the clutter, it’s about being light and moving fast. 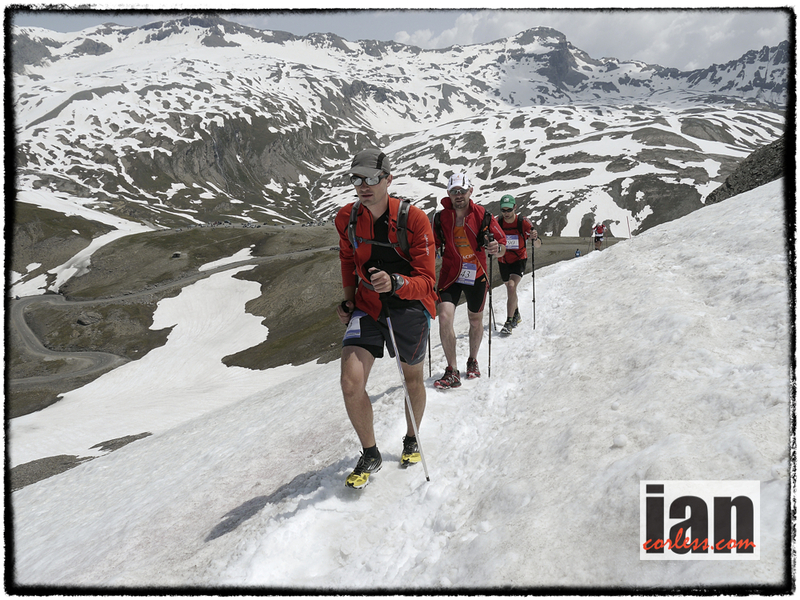 Val D’Isère, 0400 on Sunday 14th July, 600+ runners departed for one of the most challenging races they would ever experience. 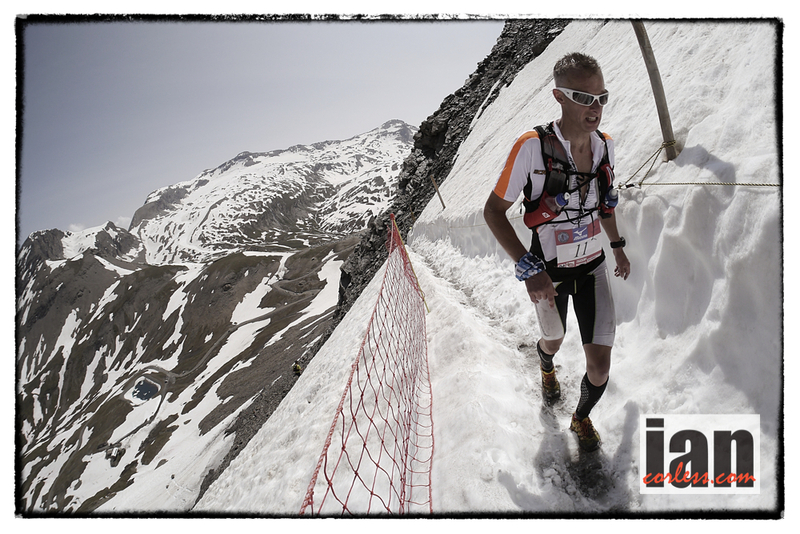 With a total distance of 65km’s, 5000m+ positive gain and over 60% of the course in snow, the race would ultimately be the most challenging Skyrunning race ever encountered by all the participants. The 2012 race winner, Francois D’Haene dictated the early pace with Rickey Gates and Kilian Jornet. At Tignes after following a river trail and an early climb the field was already spreading out. Emelie Forsberg had opened a gap on the female competition and was already pulling away. Darkness was now being replaced by the arrival of a new day and blue skies, temperatures started to rise but temperatures did drop to as low as -3deg on the first big challenge of the day, the Grande Motte at 3653m, this would see participants climb 1800m in under10km. The ascent included traversing a glacier (YakTrax compulsory) and then a 70deg climb that included sections of Via Ferrata. At the summit, km17, Kilian, Francois and Rickey continued to establish a lead over a chasing Fulvio Dapit and Philipp Reiter. 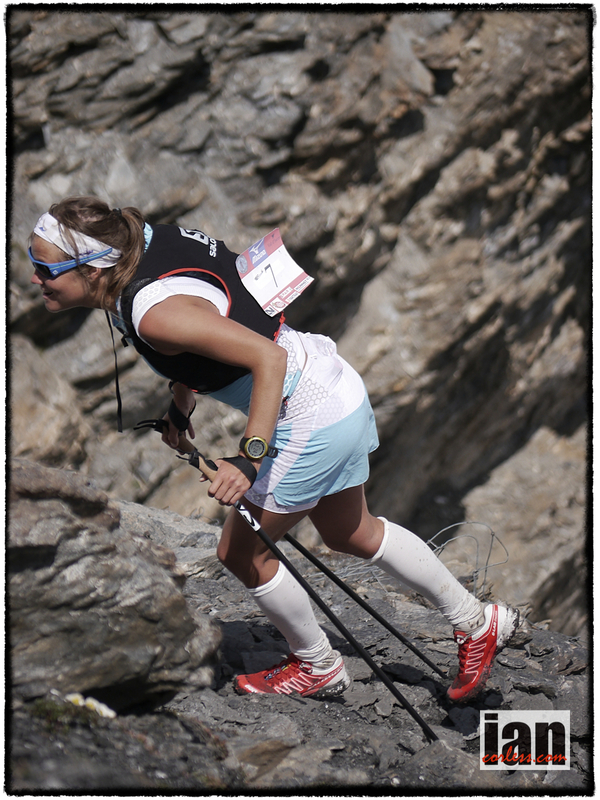 Christel Dewalle and Ronda dels Cims winner, Francesca Canepa pursued Emelie Forsberg but the pattern was set for the whole race. Emelie was in her element, and although she said post race that it was the hardest race she had ever done, she also admitted that she loved every step of it, ‘this is pure Skyrunning, it is what I love about this sport, the ability to combine mountains, snow, running and ice to combine together in one of the most challenging sports’. The descent from Col Fours at 2976m to Pont Neige at 2530m now had Francois D’Haene and Kilian Jornet establishing a lead over the rest of the field that would not be relinquished. A small section of road and a right turn at Cascade ultimately proved to be one of the hardest sections of the course. Climbing from 2700m to the Col Pers at 3009m and then Pointe Pers 3386m resulted in many runners failing to meet cut-off times or drop with fatigue at Cascade. Marcus Warner from Ultra168 said, ‘that broke peoples spirits, I have buried the feeling it created; I had to look inside and decide if I wanted to put myself through it. However, I found that inner strength and moved on. The terrain was hard pack snow on the north side to waist deep soft snow. It sucked life from within me, the final 300m was a treadmill of slate and scree, I felt I was going nowhere’. At the iconic Col de L’Iseran, the highest road in Europe the final challenge awaited, the 300m ascent to the Tunnel Lessieres at km56. It was in the final stages of this climb on the tough and technical rock section that Kilian moved ahead of Francois and pulled away to take another incredible win. Emelie Forsberg looked relaxed and comfortable, her lead was convincing and a victory was guaranteed. Christel and Francesca continued to hold second and third place and this format would not change to the finish line. This entry was posted in Uncategorized and tagged Christel Dewalle, Col Fours, Col Fresse, Col Pers, Col Rocheure, Emelie Forsberg, Francesca Caneopa, Francois d’Haene, Grande Motte, Ice trail Tarentaise, ISF, ITT, Kilian Jornet, Mizuno, Philipp Reiter, Pointe Pers, Salomon, Salomon Running, Skyrunning, Team Monyura, Tunnel Lessieres, Val d'Isere, valdisere, Vibram by talkultra. Bookmark the permalink.